Getting ready to start the low-FODMAP diet for managing digestive symptoms? Here’s a basic training guide. If you’re unfamiliar with the FODMAP diet or even FODMAP in general, it’s simply an acronym that stands for Fermentable Oligo-, Di-, Mono-saccharides and Polyols. Essentially, the FODMAP diet limits various short-chain carbohydrates that are highly fermentable and osmotically active. This might sound a bit too “science-y” for you, so before we get into the nuts and bolts of the diet, let’s back up a bit. First, let’s tackle the term fermentable. This refers to carbohydrates the bacteria in your gut really enjoy eating, giving off gas as a byproduct. Next, let’s cover the term osmotically active. This refers to carbohydrates that pull extra water into your digestive tract to help dilute them. Extra gas production and extra water in the bowels leads to a range of digestive symptoms like bloating, distension, abdominal cramping, loose stools, and even indigestion. No fun. However, if you limit or avoid high FODMAP foods, symptoms tend to get better. In fact, 74% of those with irritable bowel syndrome (IBS) who follow the low FODMAP find significant relief (1). So how was the low FODMAP diet discovered, what is it all about, how does it help, and how do you get started on it today? Read on to learn more. HOW WAS THE LOW FODMAP DIET DISCOVERED? The low FODMAP diet was designed by a research team led by Dr. Peter Gibson, the Director of Gastroenterology at Monash University located in Melbourne, Australia. The first research trial on the effectiveness of this diet in IBS symptom management was published in 2006 by Gibson and Dr. Sue Shephard. However, the connection between poor absorption of certain carbohydrates and gastrointestinal symptoms has been well-known since the 1980s. Throughout the past decade, research clearly shows that the low FODMAP provides significant relief for many digestive disorders. WHAT FOODS ARE HIGH FODMAP? You learned earlier that FODMAP stands for fermentable oligo-, di-, mono-saccharides and polyols. The “O-D-M” in FODMAPs describe different chain lengths of carbohydrates (oligo= more than 2, di= 2, mono= 1). Polyols are sugar alcohols, another type of carbohydrate, which can be added to foods or naturally occurring. Labs measure the fermentability of hundreds of commonly consumed foods, and the fermentability scores are updated over time. That’s why it’s so important to have an updated FODMAP food list. My favorite resource for an updated FODMAP food list is the Monash University Low FODMAP app. HOW DOES THE LOW FODMAP DIET IMPROVE SYMPTOMS? To answer this question, let’s first understand why high FODMAP foods trigger symptoms. First, there’s the fermentability factor, creating excess gas production in the digestive tract. Gas is the natural byproduct of bacterial fermentation. Next there’s the osmotic effect causing extra water to be pulled into the digestive tract. Additionally, some FODMAP foods are indigestible to humans as we lack the enzymes necessary to break them down. These include fructan and galactan fibers, which are in foods like lentils, beans, and wheat. Exceeding a specific load of these foods produces digestive problems in most people. Lastly, polyols (sugar alcohols) produce a laxative effect in the body when consumed in excess. This effect is due to their large molecular size and osmotic impact, resulting in loose stools or diarrhea. Everyone is different and the low FODMAP diet requires individual tailoring. However, following an elimination plan for 2 to 4 weeks results in improvement in 74% of people with IBS. Keep in mind, the low FODMAP diet does not cure IBS or other digestive disorders, it is simply a symptom-management tool. WHAT STEPS DO I TAKE TO START THE LOW FODMAP DIET? It’s important to properly prepare before launching the low FODMAP diet. This is a short-term elimination diet, not a long-term plan. You will follow the initial low FODMAP elimination diet for a few weeks, or until symptoms subside significantly. If symptoms do not improve, it means the diet did not work for you and it’s time to move on and find another solution. If the diet does work for you, you’ll move on to the reintroduction and maintenance phases of the diet. Either way, you won’t remain on the initial stage of the diet for longer than 6 weeks. This means the diet is not black and white. Many of these foods are dose-dependent in terms of producing a symptom response. Having a tiny bite of a high FODMAP food by mistake will not completely mess up the diet. Just do your best to restrict consumption of high FODMAP foods. Using the Monash University phone app is an easy way to understand all the complexities of the portion sizes of each food. Avoid finding too much information about this diet online. There are numerous blogs and websites offering low FODMAP information these days. To avoid getting overwhelmed and confused by the glut of info, it’s important to find one to two reliable resources and food lists and stick to them. I recommend getting your information straight from the diet’s creator: Monash University. Additional reliable resources include Kate Scarlata and Patsy Catsos. Books that are full of quality information about the FODMAP diet include The Complete Low-FODMAP Diet: by Dr. Sue Shepherd and IBS—Free at Last! by Patsy Catsos. Use a meal plan and food/symptom diary. This diet is not easy. To ensure you follow it properly, consider creating a low FODMAP meal plan. Additionally, use a food/symptom diary in real-time to track everything you eat and drink, along with symptoms that arise throughout the day. This diary provides a higher level of awareness to what you’re consuming and how you’re feeling. 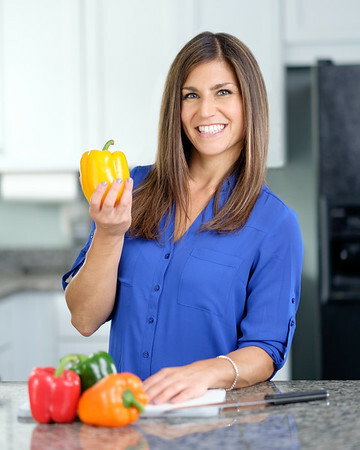 Work directly with a trained Registered Dietitian Nutritionist (RDN). I’m not tooting my own horn here, but working with a RDN will offer you peace of mind and personalization. Peace of mind comes from creating easy to follow meal plans and recipes, getting specific questions answered, and knowing you’re following each phase of the diet properly. Personalization comes from understanding your unique health circumstances and modifying the diet to fit those needs. Also, the RDN knows what to do if things don’t go as planned and how to progress the diet and create a long-term, healthy maintenance plan. Ready to get started on the low FODMAP diet? If so, let’s set up a time to talk in more detail so you can implement the low FODMAP diet with ease. Schedule your 30-minute phone call here.